The extinction of many coral species may be weakening reef systems and siphoning life out of the corals that remain, according to a new study. In the shallows off Fiji’s Pacific shores, marine researchers assembled groups of corals that were all of the same species, i.e. groups without species diversity. When Cody Clements, a postdoctoral researcher at Georgia Tech and the study’s first author, snorkeled down for the first time to check on them, his eyes instantly told him what his data would later reveal. 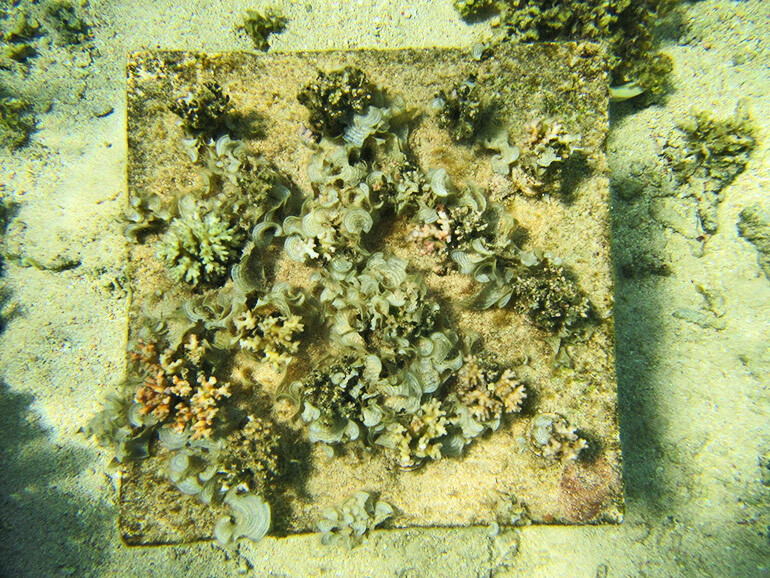 Clements also assembled groups of corals with a mixture of species, i.e. biodiverse groups, for comparison. In total, there were 36 single-species plots, or monocultures. Twelve additional plots contained polycultures that mixed three species. The study’s insights could aid ecologists restocking crumbling reefs with corals—which are animals. Past replenishing efforts have often deployed patches of single species that have had trouble taking hold, and the researchers believe the study should encourage replanting using biodiverse patches. “It’s shocking how quickly the Caribbean reefs crashed. In the 1970s and early 1980s, reefs consisted of about 60 percent live coral cover,” Hay says. 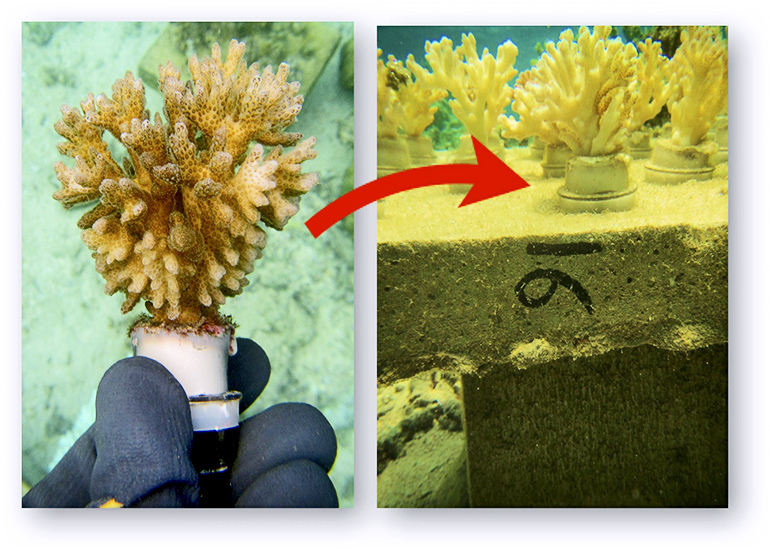 “Coral cover declined dramatically through the 1990s and has remained low. It’s now at about 10 percent throughout the Caribbean. Still, there’s hope. Pacific reefs support 10 times as many coral species as Caribbean reefs, and Clements’ and Hay’s new study suggests that this higher biodiversity may help make these reefs more robust than the Caribbean reefs. There, many species have joined the endangered list, or are “functionally extinct,” still present but in traces too small to have an ecological impact. Off Fiji’s shores, Clements transported by kayak, one by one, 48 concrete tables he had built on land. 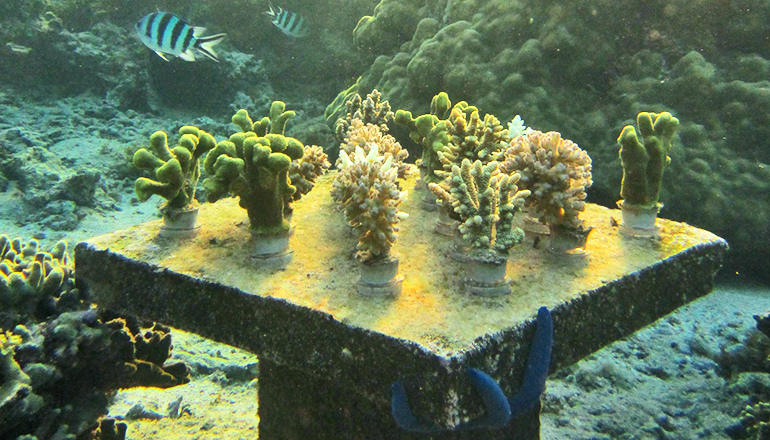 He put them into place and mounted on top of them 864 jaggy corals in planters he had fashioned from the tops of plastic soda bottles. The National Science Foundation, and the National Institutes of Health’s Fogarty International Center, and the Teasley Endowment funded the research. Any findings, conclusions, and recommendations are those of the authors and not necessarily of the funding entities.